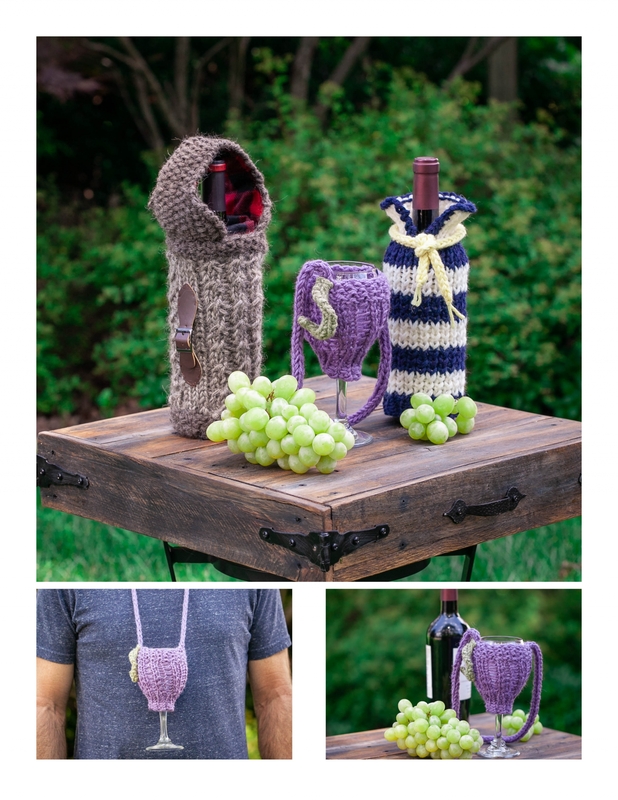 A three, loom knitting pattern collection that is perfect for unisex, gift giving! 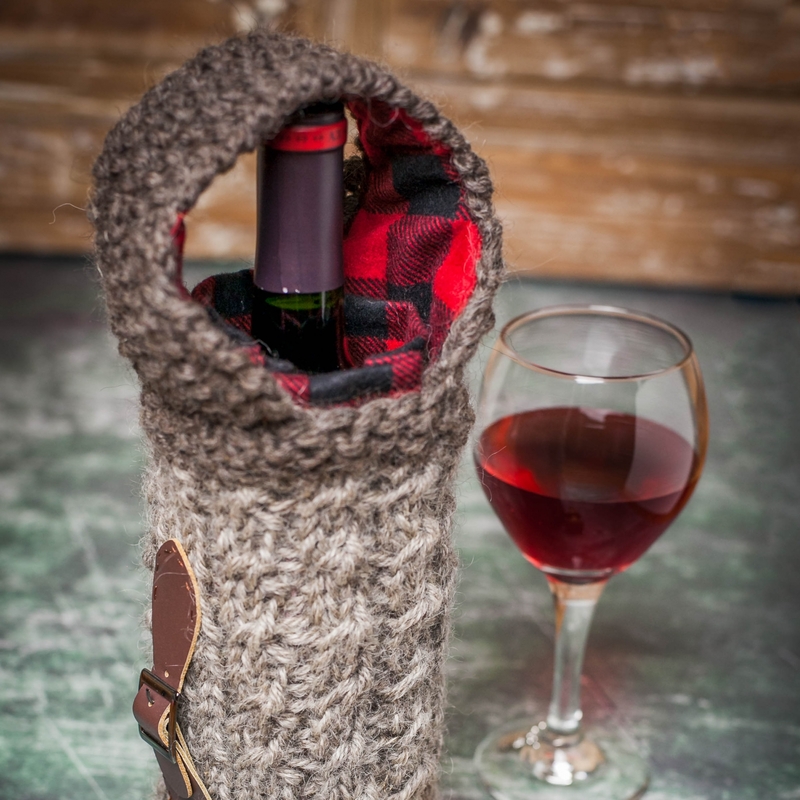 Wine Bottle Tote/Carrier: This single wine bottle tote is handsome and useful for picnics and wine festivals. 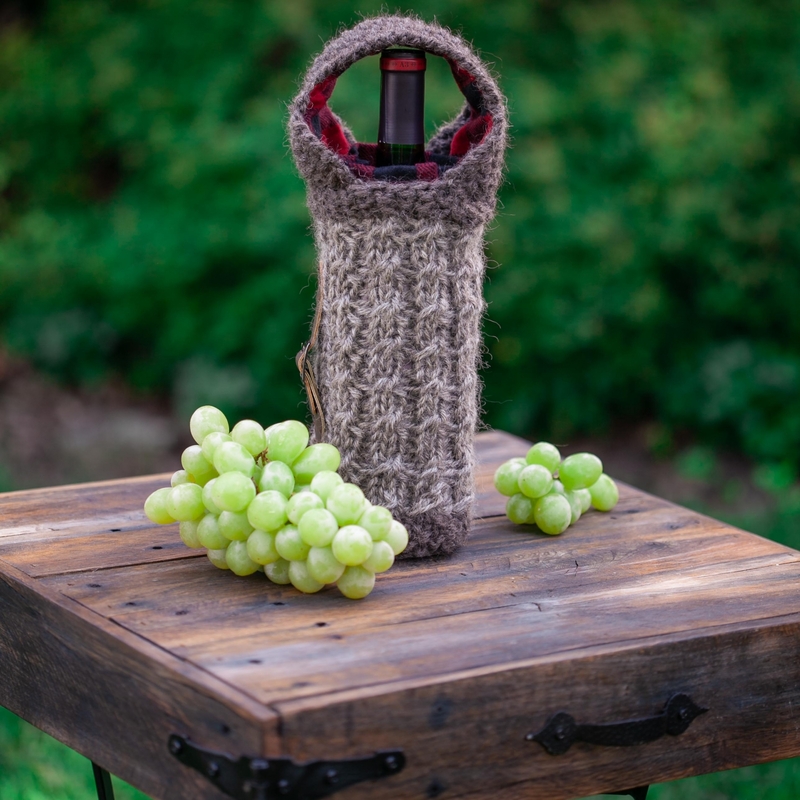 Easy to achieve mock cable ribbing, a seed stitch handle and coarse wool combine to give a stylish appearance to this bottle carrier. 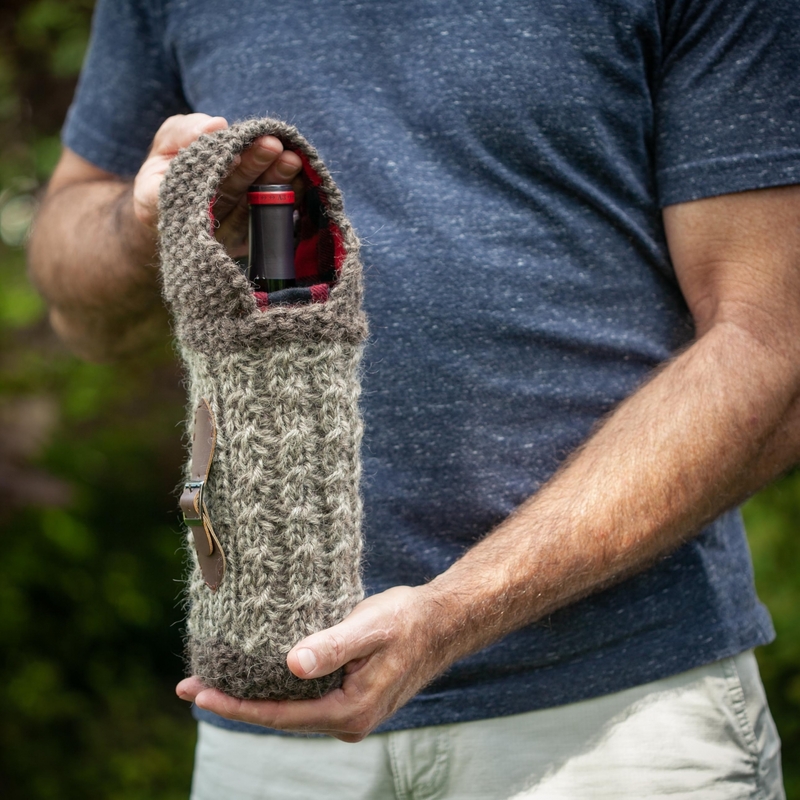 An added liner provides durability and makes for easy carrying. 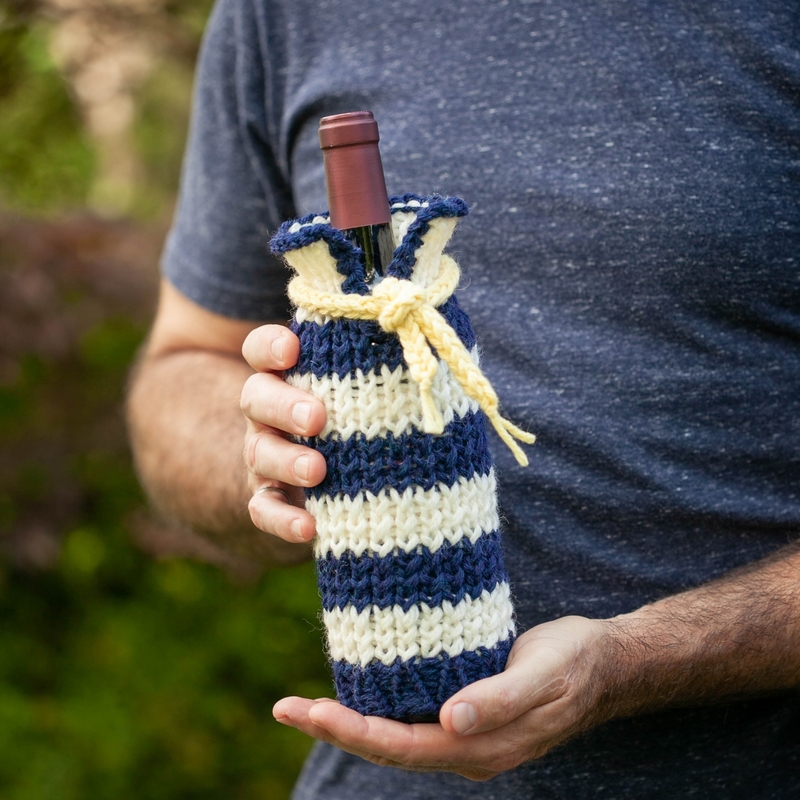 This is a quick, unisex gift to make! 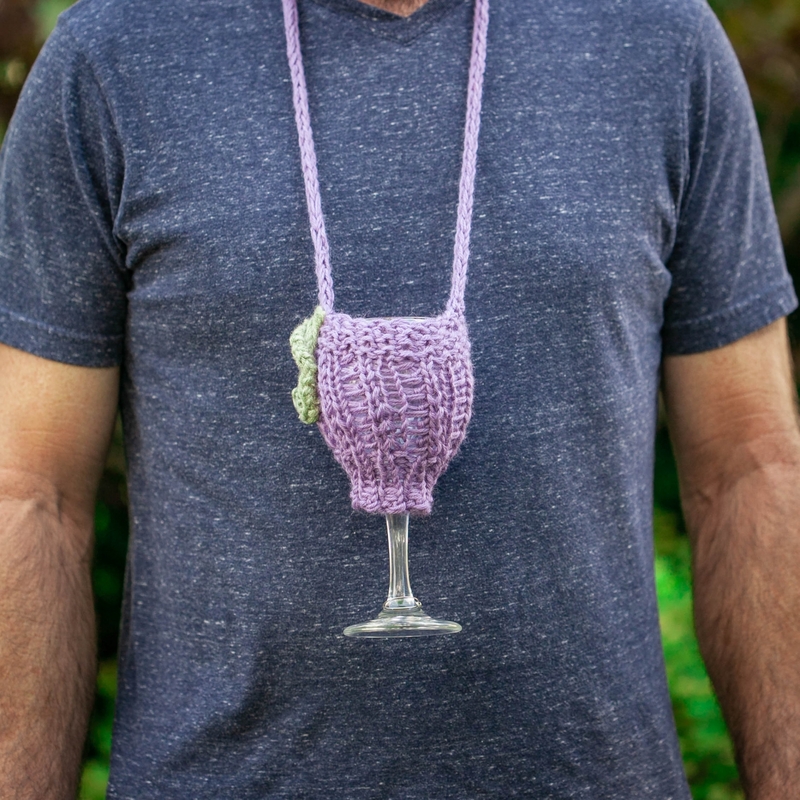 Wine Glass Lanyard: This is a fun gift for the wine-lover and great conversation starter. 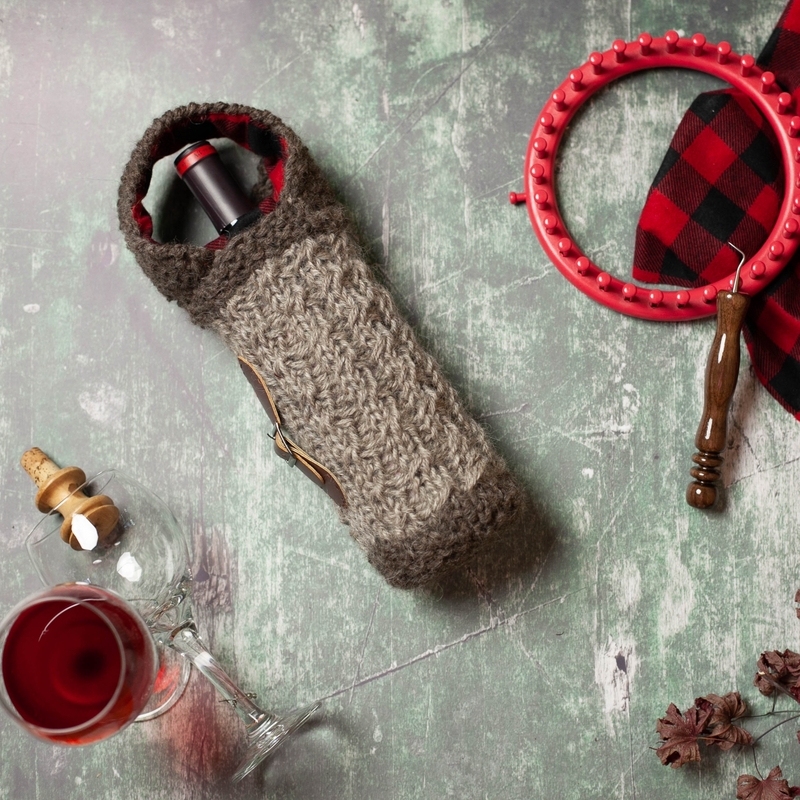 It’s perfect for barbecues, bachelorette parties, winery tours, glamping and festivals and allows the taster to keep their glass safe while being hands-free. 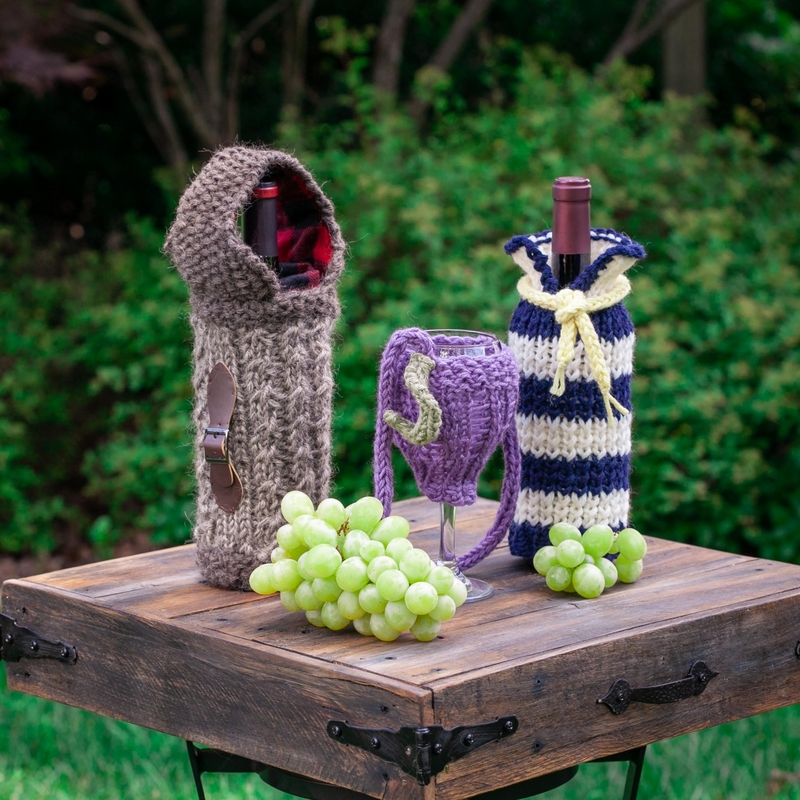 Pair it with a wine glass and the recipients favorite Vino and you’ll have an affordable gift! 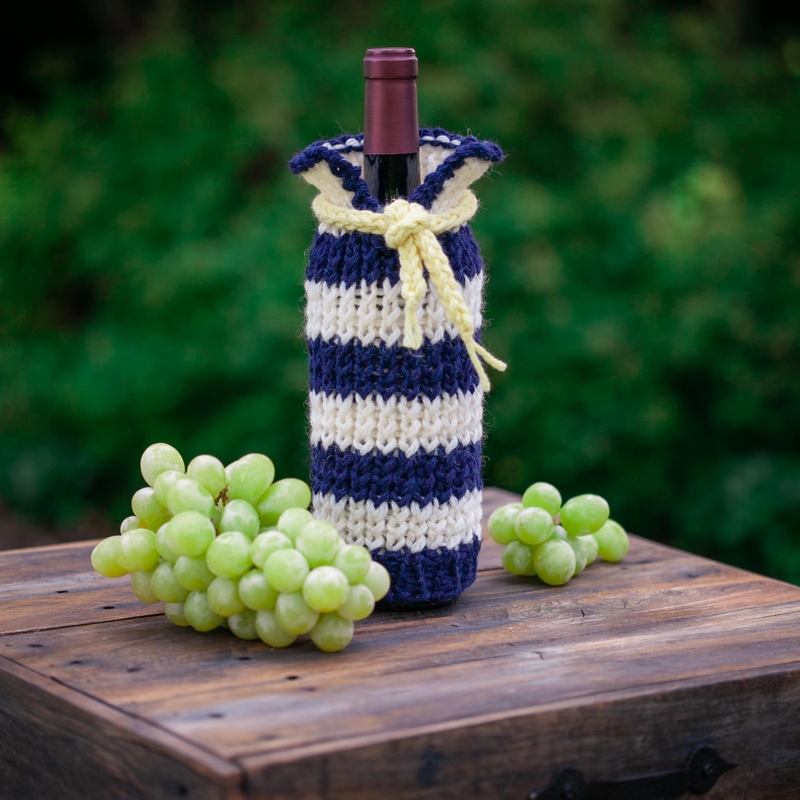 Nautical Wine Bottle Sweater/Cozy: Perfect for the wine lover, this collegiate sweater will give the plain wine bottle that extra-special touch. 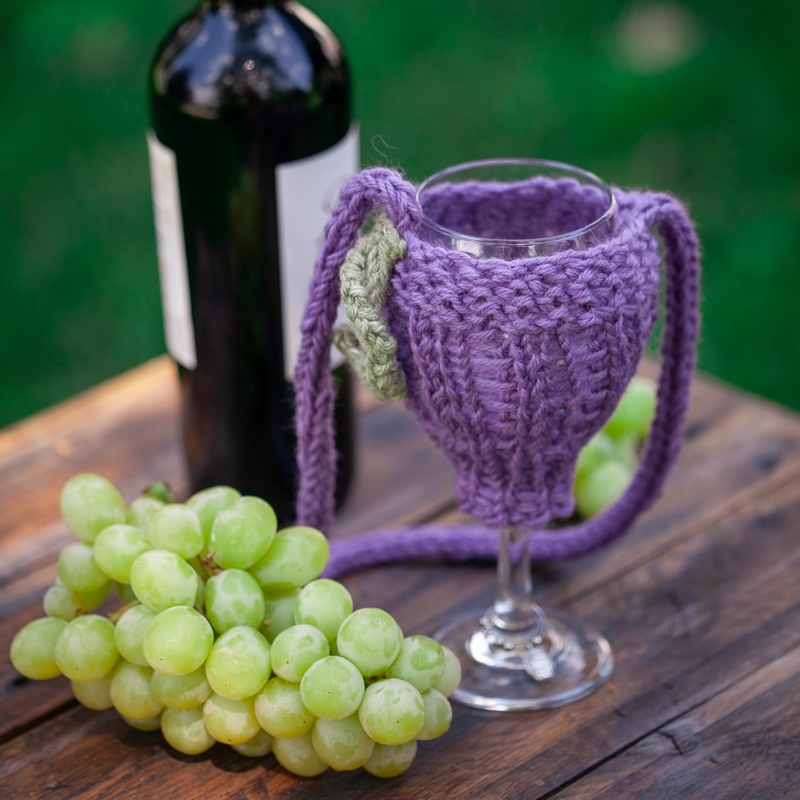 These are a quick knit, so you’ll want to make a few to grab when you’re heading to a last-minute party or housewarming. Loom: A large gauge round loom knitting set is needed to complete all patterns (knifty knitter brand used in sample). 31 peg, 24 peg, 5/8"- 3/4" peg spacing.